The plinth on which the glass cube is fixed to, measures 400mm square and 1000mm high. 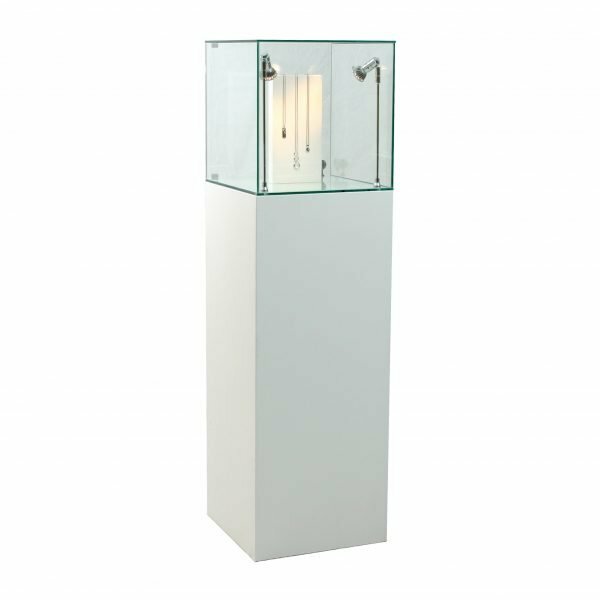 The glass cabinet (cube) has external dimensions of 400mm, length, width and height. 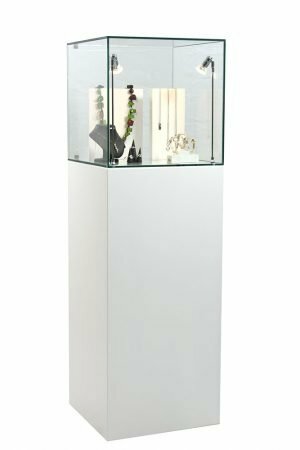 If you would like to change the height dimension for the purchase of a plinth please inform us when we provide you with a quotation. The battery powered lighting system is contained inside the plinth. The battery which the lights are plugged into will last 49 hours of ‘on time’. Mains Powered lighting is also available. 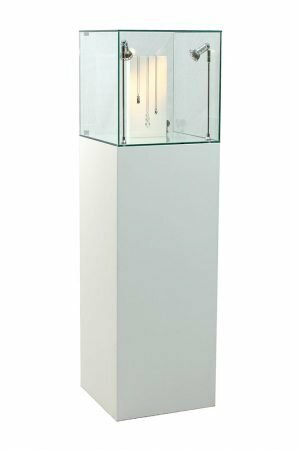 Upon receiving a quote for lighting we will detail in PDF all of the options available to you with regards to lighting for you to view including prices. 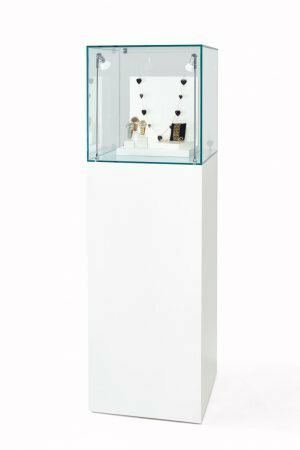 Standard Colours available are black and white, however we do have capacity to provide any bespoke RAL or Pantone colour to the plinths. Branding, Graphics and Logos can be added as long as the artwork is provided to us. When purchasing a cabinet everything is made from scratch. We estimate it to take 7 working days however the current lead time can be requested from Ellie or Kirsten. 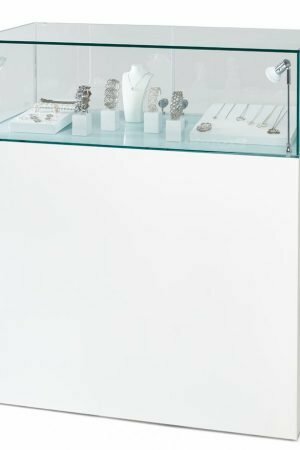 Hire Stock is slightly different where we have 25 (approximately) at all times in stock of each cabinet.